In government, the pressure to provide faster insights on your agency’s programs rests squarely on your team’s shoulders. Although we live and work in a world filled with data, quick access to information and insights can be impossible if you struggle with a lack of resources, budget, and legacy systems. Learn how to free yourself from common data challenges in government to become the Data Innovator you were meant to be. 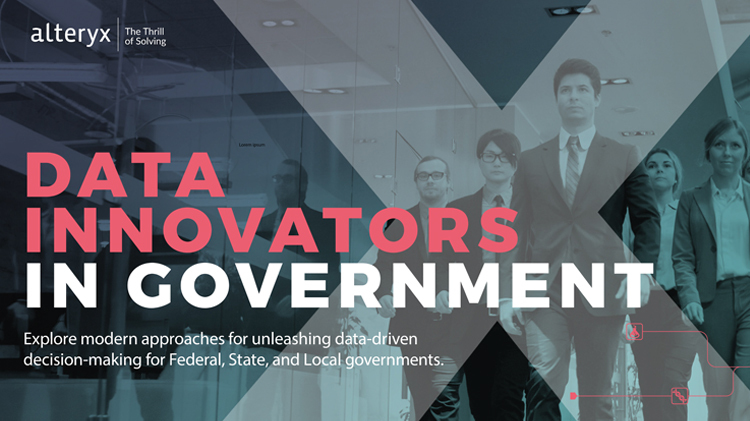 Government Data Innovators are rising everywhere to propel change and you can, too. Download your e-book now.